​The Escape Act (formerly Run Away, Join the Circus) is based on true events in the life of Irene, a young Jewish acrobat who survived the Holocaust hiding and working at the German Althoff Circus. Irene and her family were embraced by the circus owner Adolf Althoff and his wife Maria, and passed the years of World War II performing on its stage, running to hide whenever the Nazis came for inspections. This is a 60-minute one-woman theater play, incorporating elements of circus and puppetry. For latest updates check out the news section. Or you could also become a regular supporter via our Patreon page. The Escape Act is a one-woman theater show combining circus acts and puppets. 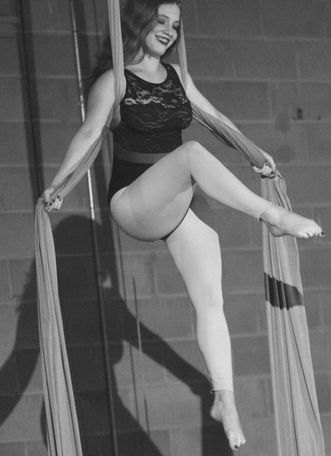 Much of the show happens on a static trapeze, the mental place in which Irene remembers her time at the Althoff Circus. The puppets, mostly found objects and shadow puppets, are the other characters inhabiting her world as told through her eyes. She juggles, clowns, and brings her experiences and the people who shared them to life. ​The play examines Irene's life between 1933 and 1945: from a young teen experiencing the rise of the Third Reich, through joining the circus undercover, to falling in love and starting her own family - all under the protection of the Althoff Circus from the threat of the Nazis. Their story is full of hope, love and compassion, depicting the brave deeds of good people who made the choice not to stand idly by. In one of history's darkest hours, their story shines as a beacon of courage and humanity in the face of fascism's cowardice and hatred. 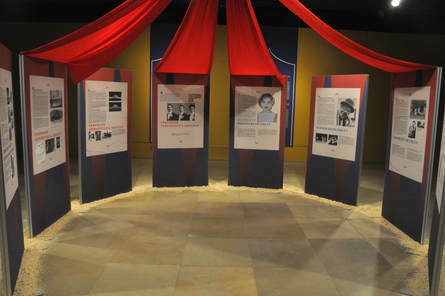 The performance will be offered in conjunction with an exhibition and a workshop: Before the show, the audience will enter the venue through a photographic exhibition of the people whose lives the show was based on, photographs that will bring to life this golden era of Jewish circus and its inhabitants. The exhibition is made in conjunction with Diverging Fates, an international academic team researching circus people in Europe under National Socialism. Following the show, the audience will be invited to a hands-on workshop with the show's performer. 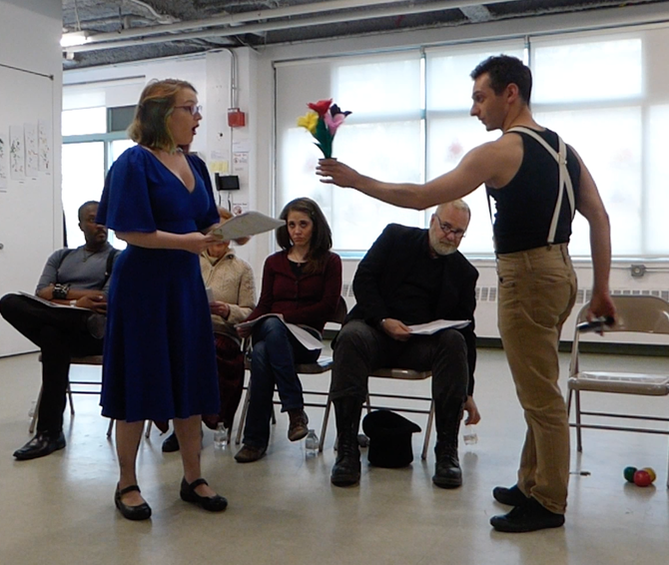 Each hosting venue could choose between a circus workshop (in which participants will learn basic circus skills in areas such as juggling, clowning, acrobalance and more), a drama workshop (workshopping monologues and scenes based on testimonies from Holocaust survivors), or both. In each town this project travels to, we will reach out to the local Jewish community to invite Holocaust survivors to attend free of charge. 2013-2015 - Researching and collecting the testimonies of Irene, Peter, Adolf and Maria. Writing and re-writing drafts of the ensemble play RUN AWAY, JOIN THE CIRCUS. 2016 - Academic Studies Project conducted at the New School to further research the true events. Re-writing the play as a solo performance, under the guidance and mentorship of Professor Zishan Ugurlu, Doctor of Theater. Early 2017 - A successful Kickstarter campaign raised $10K (roughly 1/4 of the funds required to stage the show). 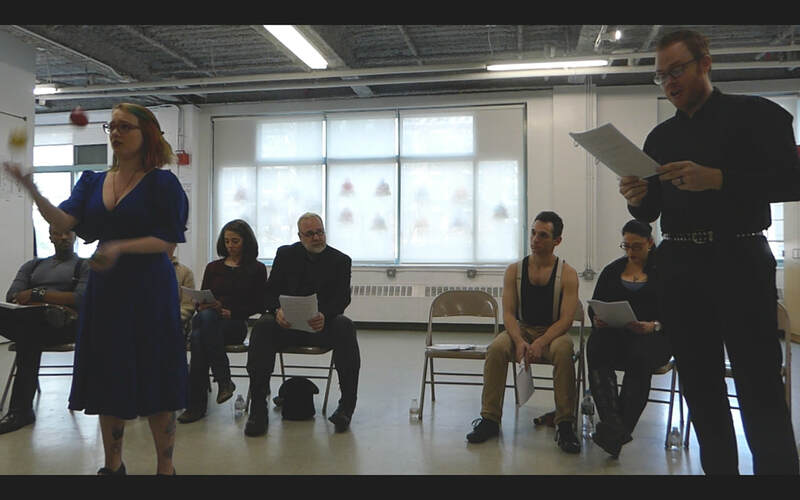 The campaign was followed by a staged reading at the 14th Street Y, as part of the events for the Holocaust Remembrance Day. Late 2017 - Author has been working with Diverging Fates, an international academic team researching circus people in Europe under National Socialism, to further research Jewish circus performers of the era (read about her work here). The show has been renamed THE ESCAPE ACT and the author is currently busy re-writing its newest draft and applying for grants and residencies. May 2018 - Author will present this project at the academic conference Circus and Beyond, held at the University of Sheffield as part of the UK's nationwide celebration of 250 years of circus. Author's presentation will be a hybrid talk / performance: The talk portion will present the research the author has done on Jewish circus dynasties under National Socialism and discuss Holocaust Drama's impact of staging survivor stories as means to preserve the past and inform the future. The performance portion will be a workshopped segment from the play THE ESCAPE ACT. Author will also travel to Pfungstadt, Germany to interview the children of Irene and Peter Bento, and to research the history of their family in the town over the generations. June 2018 - Author will conduct a research trip to Morocco to interview Mohamed Sahraoui, the last living member of those who performed with the Althoff Circus during the 1940s. August 2018 - The hybrid talk / performance will make an appearance at the academic conference Circus and Its Others II, held in Prague under the umbrella of the Letni Letna International Festival of New Circus and Theatre. 2018-2019 - The show will be re-written, re-worked and shaped while author undertakes intensive circus training at Circomedia, Bristol, UK. Summer 2019 - The show will spend June and July in residency at the Loviisa Artists' Studio in Finland, leading to public performances at the Kucko Festival (under the theme "TransFolk") scheduled for August. Challenge audiences to consider issues of discrimination, racism, communal accountability and social justice. General audiences, both adults and families, attending shows for free or cheap in fringe festivals and arts festivals around the world (such as a residency in Finland we've committed to). The cities that host such festivals wish to expose their communities to a diversity of stories, of people whose lives are different than that of the local community. A show about a Jewish family at the time of the Holocaust, and a circus family at that, serves as a unique opportunity for local audiences to learn not only about a specific time in history, but about the people who once occupied it. The show's message of tolerance and camaraderie should (and can) echo within all types of audiences, and serve as a reminder of the social responsibility we all have towards minorities at risk. Irene's maternal family, The Lorch family, was one of a few Jewish families who ran their own circuses in Germany for generations before the rise of the National Socialists. The Lorch Circus was large, successful and famous all throughout Europe and beyond, traveling as far as the United States and South America. Everything changed when the Nazis came to power and with their new laws forced the Lorch Circus out of business. Soon, with the Nazis sending the Jews to ghettos and camps, the Lorchs' very lives were in danger. Joining the Althoff Circus was not only a means to make a living; it was a means to stay alive. ​The show's heroine is the 19-year-old Irene Danner. Her maternal grandfather, the world renowned Icarian acrobat Julius Lorch, has been teaching her tricks since she was a little girl. 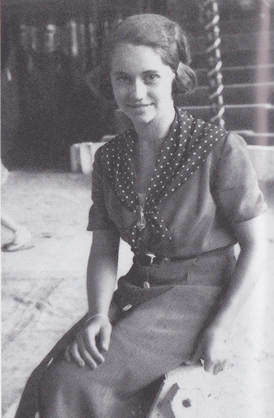 As a teenager, she joined the Busch Circus where she learned trick riding working for the Italian Caroli troupe. She was the first of the Lorchs to join the Althoff Circus, convincing the owner Adolf to employ her at a time when hiring Jews was illegal. While working at the circus, Irene entered a romantic relationship with Peter Bento of the renowned Bento Clown Troupe. Peter taught her clowning skills and she became part of the family act. 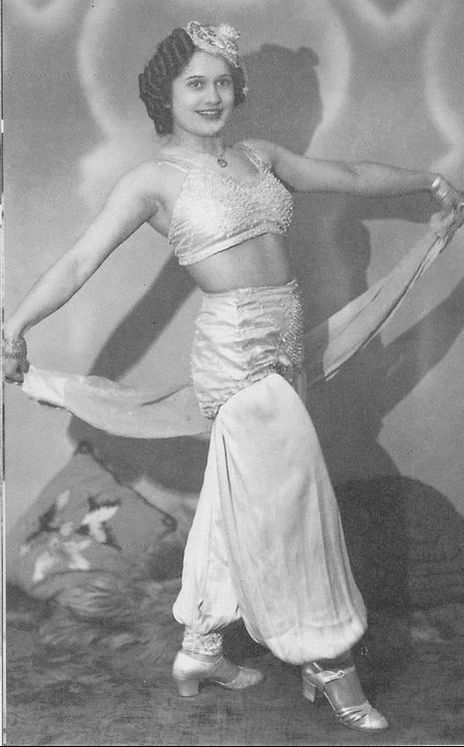 Irene also forged a friendship with Peter's best friend, the acrobat Mohammed of Morocco. Peter, Mohammed and Adolf were inseparable friends, affectionately nicknamed "The Three Musketeers". Irene was Jewish, Peter was not. Marrying was illegal. Nonetheless, the two were very much in love and - under great risk - had two children during the war. 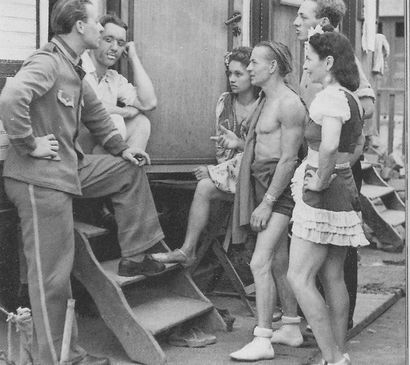 As the war progressed, the Althoff Circus traveled all over Germany and Austria with Irene performing on its sawdust stage (despite the very real threat of frequent Nazi inspections). When SS officers showed up at the circus, Adolf cleverly distracted them with his amusing circus tales and an abundance of alcohol. In 1942, after a few of her family members were deported to Auschwitz, Irene and Peter persuaded Adolf and Maria Althoff to extend their generosity to Irene's mother, father and sister. The three joined the circus and toured with it, running to hide at every inspection, until the war ended in 1945. After the war Irene and Peter were finally married. They moved back to Irene's hometown, raised their family there and remained together all their lives. They are buried there alongside Irene's parents. In 1995, Adolf and Maria Althoff were recognized by the Yad Vashem museum in Israel as "Righteous Among the Nations", an honorary title bestowed on non-Jews who helped save the lives of Jewish people during the Holocaust. ​When asked why he risked his own life to save the lives of the Lorchs, Adolf replied: "We circus people see no difference between races or religions. Circus people live in the entire world and are of the entire world". 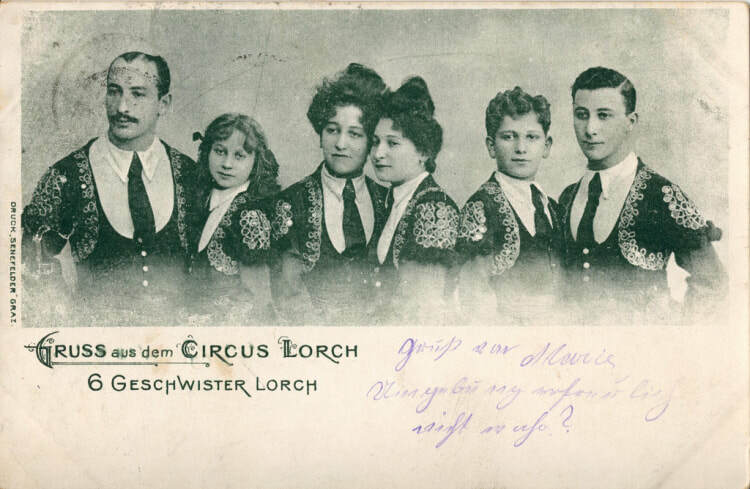 Stav's research on the Lorch family, as well as other Jewish circus families in Nazi Germany, is available to book as an academic presentation for conferences, Jewish spaces and any other interested venues. I have never come across a story I felt such a strong urge to tell as that of the Lorch family and their saviors from the Althoff Circus. My deep connection to their story runs on multiple levels: I am a circus artist, a third generation to Holocaust survivors and a Jewish educator. Above all, this urge comes from recognizing the importance of this story's message in today's political and social climate. The more I research the history and true events of this family (and other Jewish-German circuses of the era), the more certain I become that their stories should serve to remind us the responsibility each of us holds for our fellowmen. For the Althoffs, the Lorch family was neither Jewish nor German, they were simply – Circus. They protected them despite the risk it brought to their own lives and livelihoods, because they felt that circus had to stick together. Circus is a microcosmos of its own, where one's value stems from what one can contribute to the whole. Circus people are judged for their abilities, not for their race, religion or gender. In a world where countries close their doors to immigrants, where fascist voices are once again getting stronger, it feels more urgent than ever to ensure that history isn't forgotten. This story's message of tolerance and acceptance, of people taking risks to save another's life, comes from circus but applies to any and all.